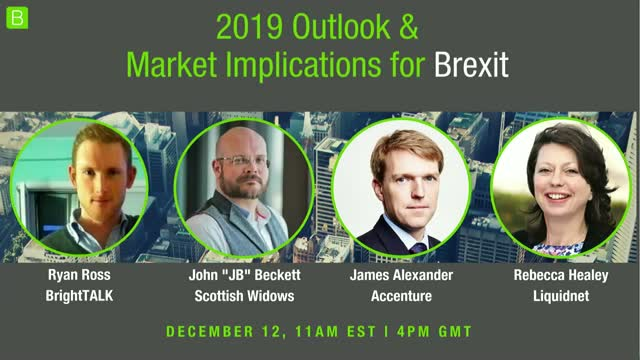 As Brexit approaches, some banks are relocating, currencies are fluctuating, and markets are moving as well - are there any possible scenarios are not priced into the market? The current state of negotiations. Who will win and who will lose if brexit happens - and if it doesn't. How Investment Managers are doing scenario planning. Senior Managers & Certification Regime (SM&CR) goes live on 9th December 2019 for FCA solo-regulated firms. BCS Consulting have supported vast numbers of banks, insurers and solo-regulated firms with their SM&CR implementations from which they have learnt key lessons about the challenges, regulatory consequences and the most effective solutions. Based on this experience, BCS Consulting will explain how firms can avoid the most significant implementation challenges and accelerate delivery timelines. Luke Hyde-Smith and James Mee, fund managers of the Waverton Real Assets Fund, give an overview of the Real Assets universe and the Fund, including current positioning.